Sacrifice is Book Two in the story of one boy’s journey toward manhood – and the people that helped get him there. Young Lee Jennings is again transported to a realm where once he was prince – but now he finds himself as the High King! The journey of Sacrifice reveals all it took to get him to that position. From dark fairies to shape shifter and dragons to betrayal, the twists and turns and sorrows and triumphs of Leonolis are all recorded here. With many of the characters you grew to love in Book One, you will also be introduced to new friends who helped Lee get to the throne. Discover the keys to the Kingdom along the way with Leonolis and his friends…and discover a little more of yourself in the journey! To learn more about the mystical land of Bren, hear songs inspired by Book One, The Chronicles of Bren: Captured – Songs for the Journey. To find out how certain characters were inspired, and to see rough sketches of what Dennis Jernigan thinks these characters may look like, go to http://www.thechroniclesofbren.com. Dennis Jernigan makes his home in Oklahoma very near the area where these stories were first inspired. Along with his wife, Melinda, he has raised 9 children there and is currently working on the next book in the series, The Chronicles of Bren: Generations. You can purchase the paperback version of Sacrifice here. To purchase a paperback copy of Book One, go here. You can also purchase the books online at Amazon.com and Barnes & Noble. To purchase The Chronicles of Bren: Captured – Songs for the Journey go here. 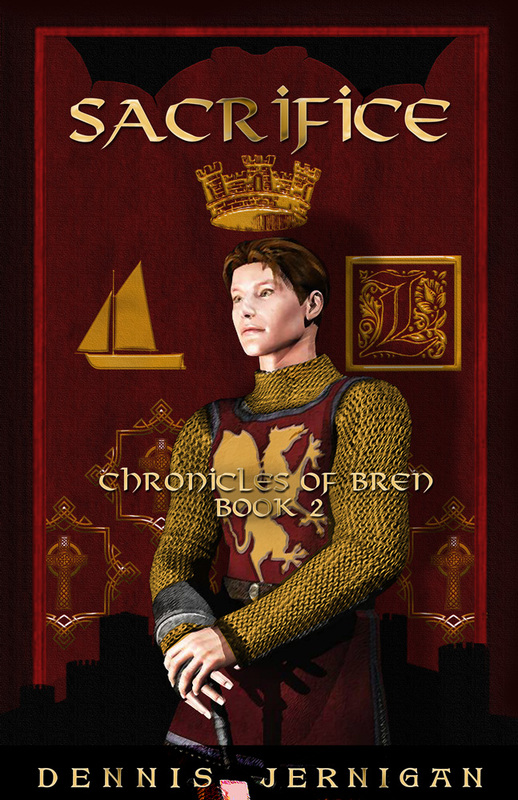 The Chronicles of Bren: Captured is the beginning story in the saga of one boy’s journey to manhood. Young teen, Lee Jennings, bullied constantly by local boys, suddenly finds himself transported into a world of fantasy and adventure…and plunged into a whole new identity as the son of a king! How he traverses this new world and endures captivity at the hands of the realm’s resident evil lord is also the journey of self-discovery that will one day serve Lee in his adult life. Full of fantastic beings and magical creatures from this new dimension and wrought with many twists and turns, Captured is just the beginning for Lee Jennings…and is designed to be an adventurously entertaining ride for readers of all ages. “We have been reading the book out loud to each other and have really enjoyed the plot twists. We really feel like this would make a great movie and reads almost like a script for one.” – J. & K.
“The story of Prince Leonolis captured me from the very beginning. From the humble beginnings of Lee, to the capitulation of Lucian’s plans for him, I found myself flying through the pages as if saddled to Leonolis’s fine black steed, Arolis. 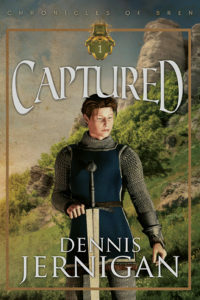 Dennis has given quite the adventures of a young man destined for more than royalty. It is not just the story of a boy coming of age, but conceals timeless truths about love, revenge, regret and redemption within a magical world filled with vivid characters that inhabit an enchanted, wild landscape. I started reading to be entertained and came away captivated, strengthened for my own journey ahead. I look forward to the next book in the series!” – H.B. To purchase a paperback copy of Book One, go here, Book Two, go here. To purchase an eBook version, simply go to here. You can also purchase the book online at Amazon.com. To purchase The Chronicles of Bren: Captured – Songs for the Journey , go here.